Medion Akoya E7222 HDD Caddy | HDDCaddy.eu - HDD Caddy for 2nd drive in every laptop! HDD Caddy replaces your laptop optical drive for more storage space! Shipped every business day! Worldwide shipping available. This Medion Akoya E7222 HDD Caddy switches your laptop dvd-drive for an extra HDD or SSD. With the extra bay in your notebook you can install a SATA hard drive or SSD for more storage space. Your laptop stays mobile thanks to the built-in feature of HDD Caddy. While using external USB hard drives makes your notebook less portable. The hard drive caddy supports 2.5 inch SATA hard drives or SSD. It also supports all maximum SATA speeds. Do you want to have more storage space in your laptop but not the hassle of using external USB hard drives? Then HDD Caddy is your partner to go. This HDD Caddy for the Medion Akoya E7222 replaces the dvd drive from your notebook so you can place an extra hard drive or SSD (Solid State Drive) inside your laptop. Installing is easy and a new added drive should work like plug and play, no software driver installation is required. Remove the optical drive inside your laptop and you will see that the HDD Caddy has the same design. The HDD Caddy can slip into the optical bay. It has the same 13-pins SATA connector as your optical drive. While your optical drive can read discs, our HDD Caddy can read/write hard drives or SSD’s. Instead of cd, dvd’s or blu ray your laptop, equipped with this storage solution, can now have an extra hard drive or SSD! This makes HDD Caddy a great fix if you want to keep your laptop mobile and you dao not want to carry external USB hard drives or sticks anymore. HDD Caddy supports 2.5 inch hard drives or SSD (depending on your laptop) with a standard 22-pin SATA connector. mSATA or M2. NGFF SATA SSD can also be installed by using a 22-pins SATA converter adapter. It fully supports all SATA1, SATA3 and SATA3 transfer speeds! It is also possible to boot from the secondary hard drive in the HDD Caddy. This allows you to easily have a multi-OS boot on your laptop. 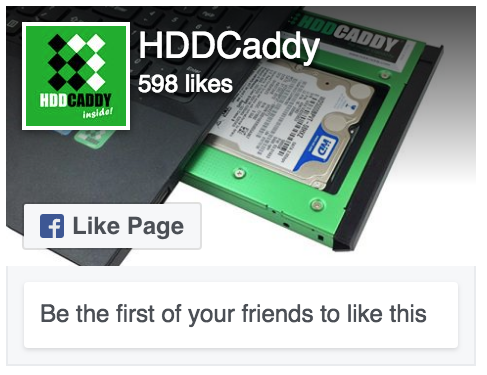 Read more about what HDD Caddy is. It is mainly made of aluminium for heat dispensation and to minimize any extra weight. It has a plastic frame within the HDD Caddy that absorbs noise and vibrations. 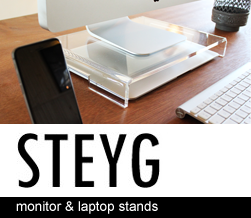 The front of this product is equipped with a special mount for your laptop original bezel. Read more how to add your bezel to this HDD Caddy. Built-in lock screws to easily install and secure the hard drive. Fast and reliable SATA connection. Installing is easy, no software driver installation is required. Has an updated SATA connector: which includes a fix for possible Asus shutdown problem with 2nd HDD or SSD. (exceptions are 1.5TB Hitachi Travelstar 5K1000 and 2TB Seagate’s Samsung M9T). Fits 2.5 inch laptop size hard drives or SSD. Supports SATA I, II, III (max. 6gbps), this also depends on your laptop SATA speed capability. Including handy screwing tool for installation. Package includes 1x HDD Caddy. Please note: a hard drive or SSD is not included. Dit bericht werd geplaatst in Medion HDD Caddy. Bookmark de permalink.